with boundary conditions u(0,t) = -t^5 and u(x,t) = (x-t)^5 on the left and right sides of the domain, respectively. The problem is time-dependent with initial condition is u(x,t=0) = x^5. For this problem an exact analytical solution exists, u(x,t) = (x-t)^5, which can be used to verify the computed solution. 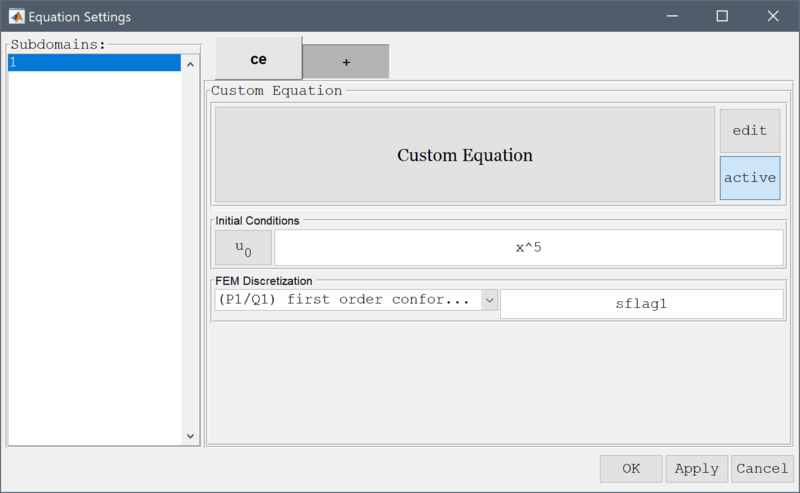 See the Custom Equation section for details on the equation syntax. 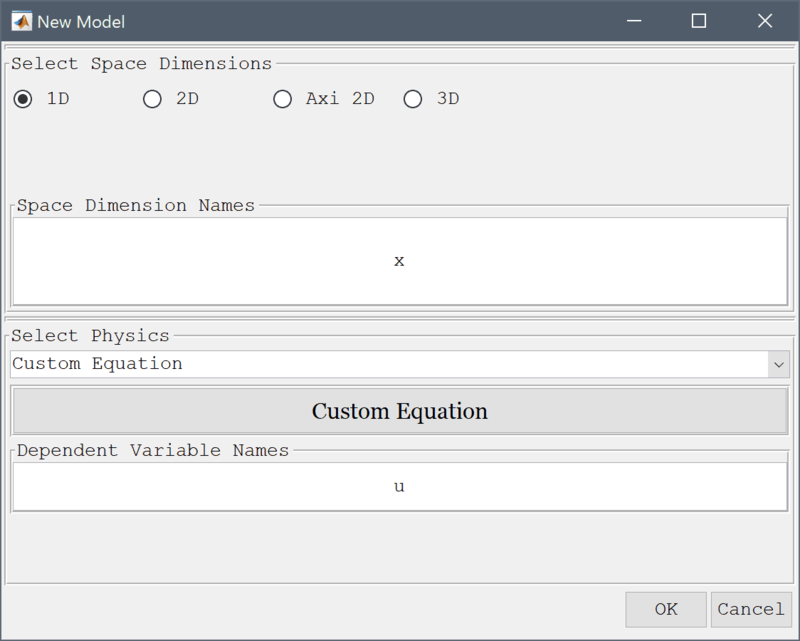 This model is available as an automated tutorial by selecting Model Examples and Tutorials... > Classic PDE > Black-Scholes Equation from the File menu. Or alternatively, follow the step-by-step instructions below. 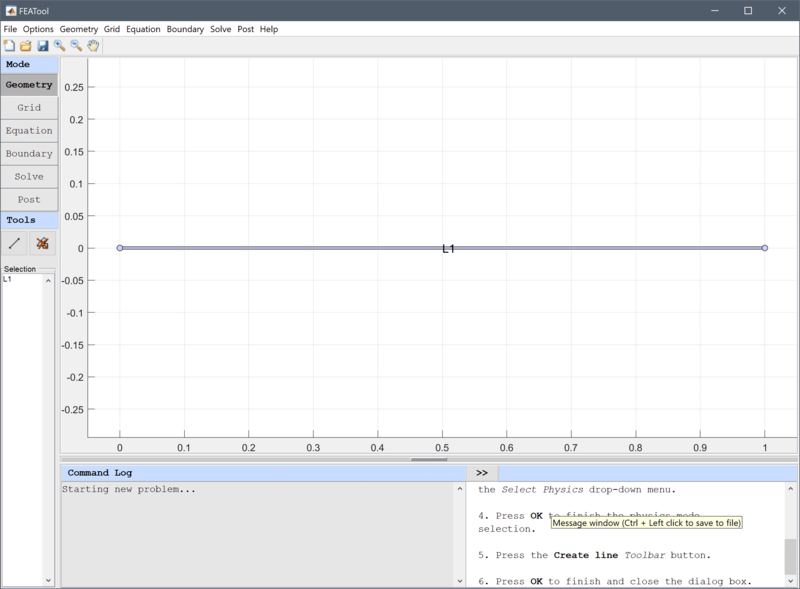 Enter u' - 1/2*ux_x - ux_t + u_t = (x-t)^5 - 10*(x-t)^4 - 10*(x-t)^3 into the Equation for u edit field. Enter x^5 into the Initial condition for u edit field. 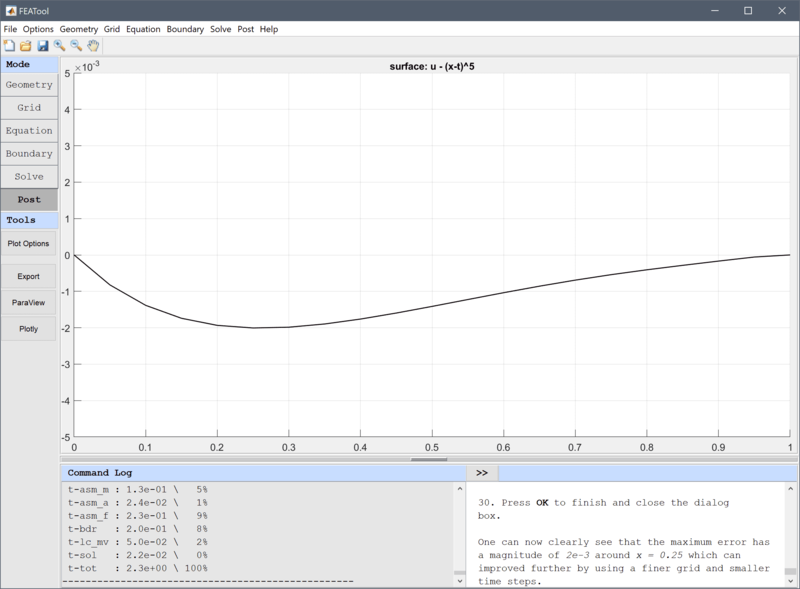 Enter -t^5 into the Dirichlet/Neumann coefficient edit field. 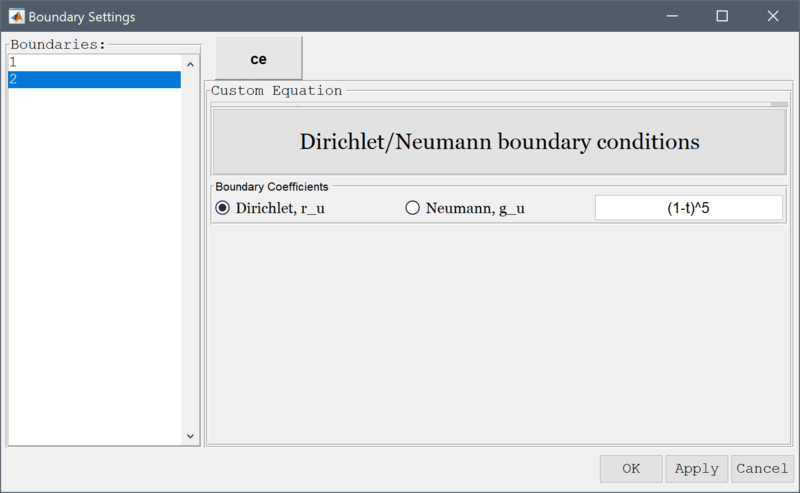 Enter (1-t)^5 into the Dirichlet/Neumann coefficient edit field. 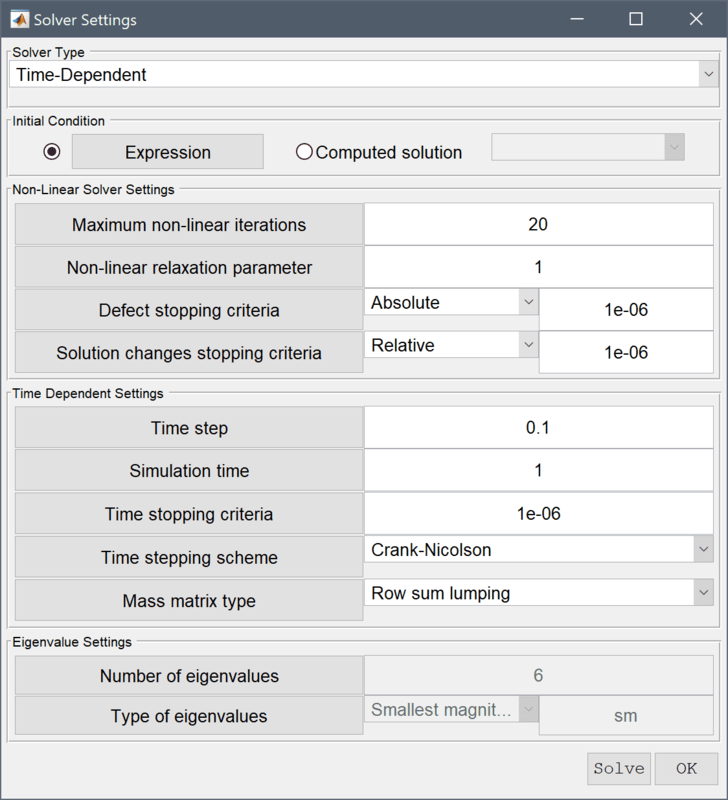 To visualize the difference between the computed and exact analytical solution, open the Plot Options and postprocessing settings dialog box and enter the expression u - (x-t)^5 in the Surface Plot expression edit field. 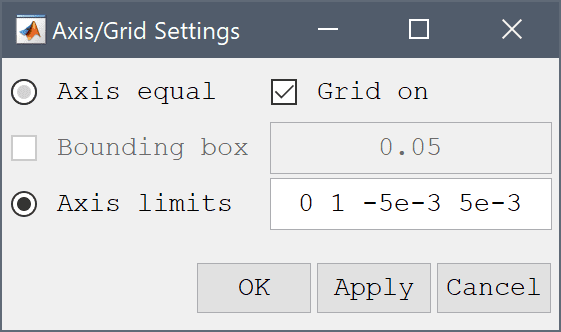 As the magnitude of the error too small to see clearly for the default axis scaling, manually zoom by selecting the Axis/Grid Settings... in the Options menu. Enter 0 1 -5e-3 5e-3 into the Manual axis settings [xmin xmax ymin ymax] edit field. 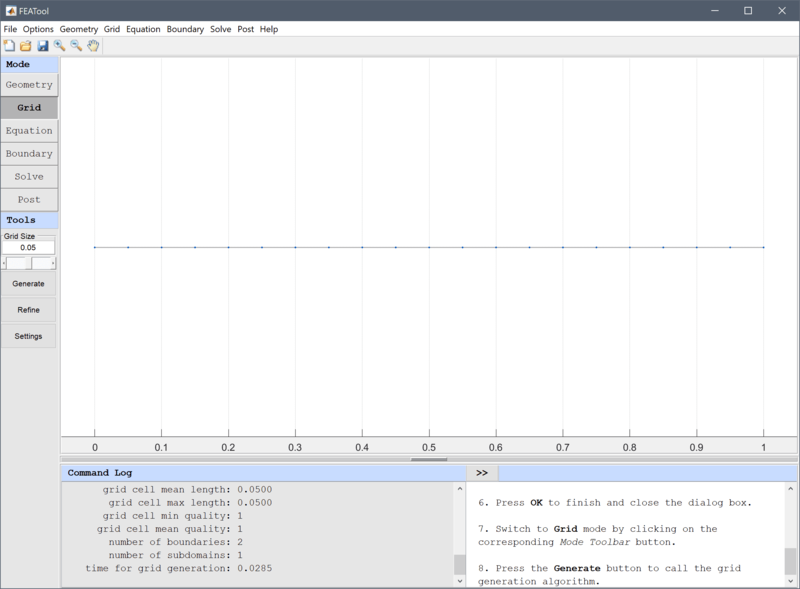 One can now clearly see that the maximum error has a magnitude of 2e-3 around x = 0.25 which can improved further by using a finer grid and smaller time steps. 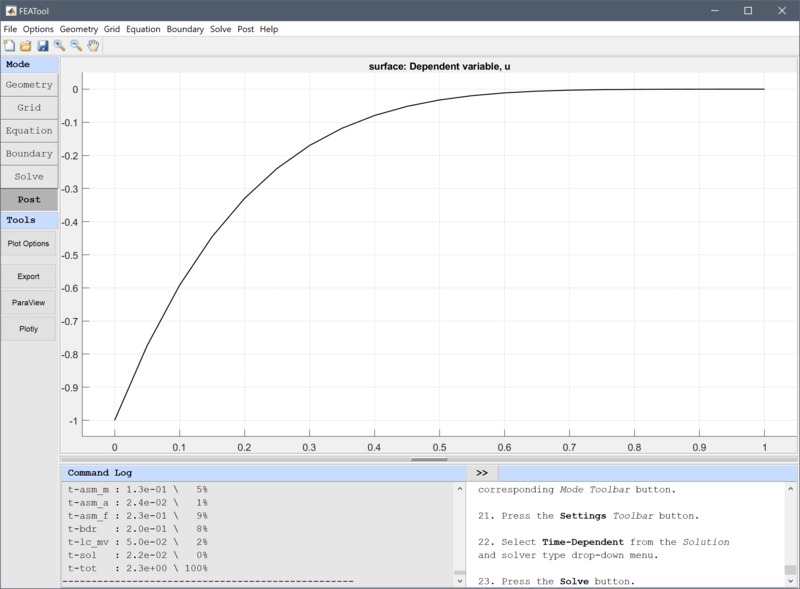 The black-scholes equation classic pde model has now been completed and can be saved as a binary (.fea) model file, or exported as a programmable MATLAB m-script text file, or GUI script (.fes) file.